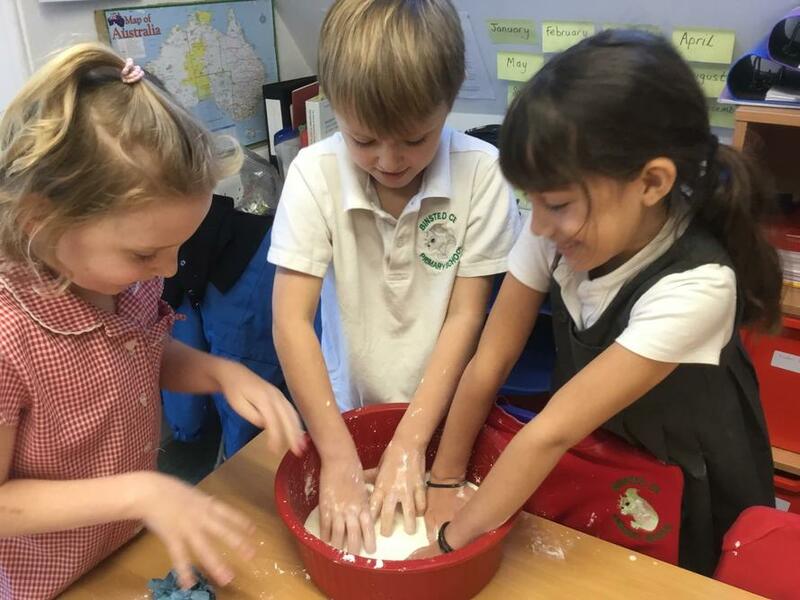 This term in science - Spring 2019 - Beech class are learning about 'States of Matter' and then 'Rocks and Fossils'. 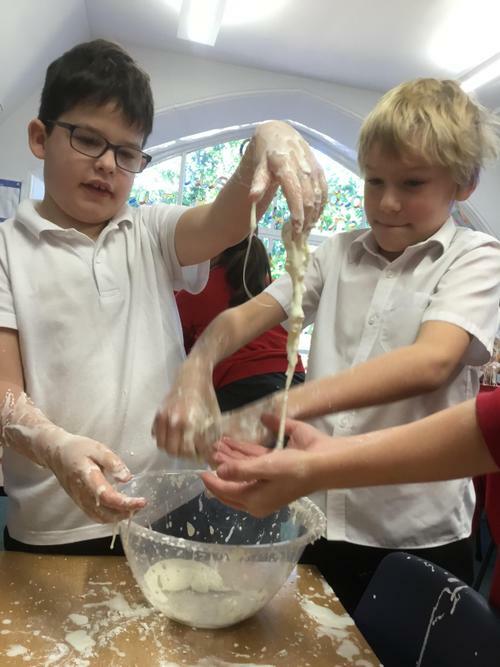 This week we began looking at the topic 'States of Matter'. 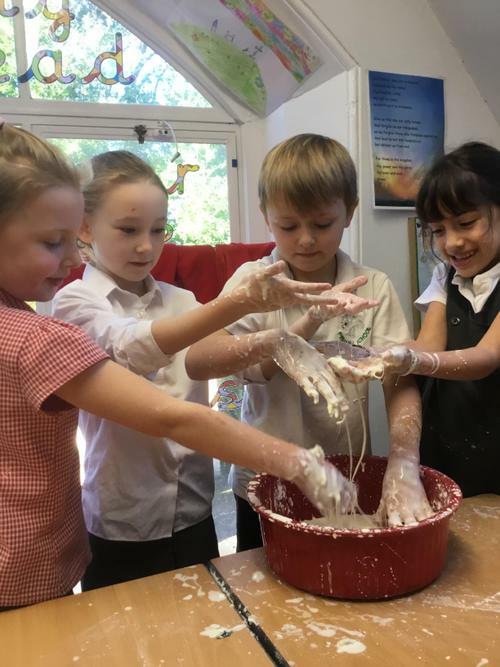 The children were fantastic scientists; questioning things, investigating 'matter' and giving concise explanations to show their understanding. 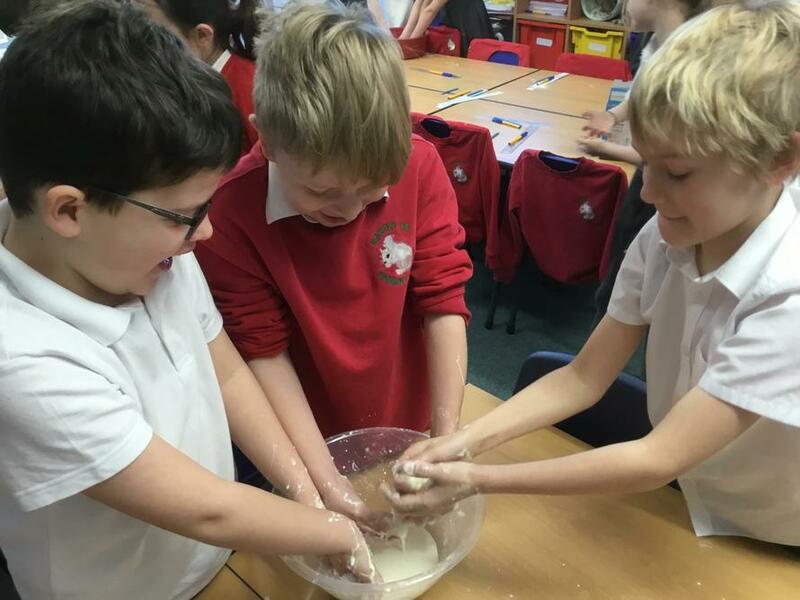 They were able to understand that earth is constructed from Matter' and that there are 3 types of 'Matter' : solid, Liquid, Gas. 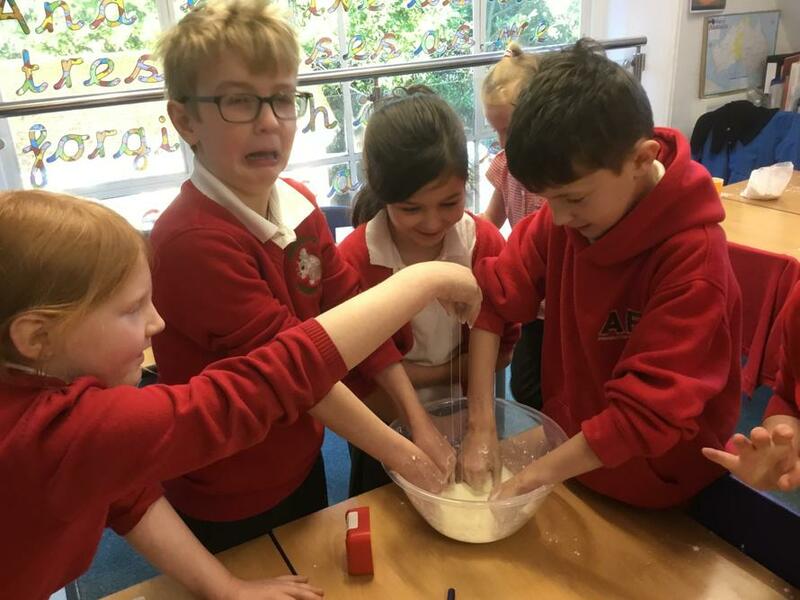 We watched a short video which helped identify and understand the differences between each 'Matter', namely 'Particles' and how these behave. 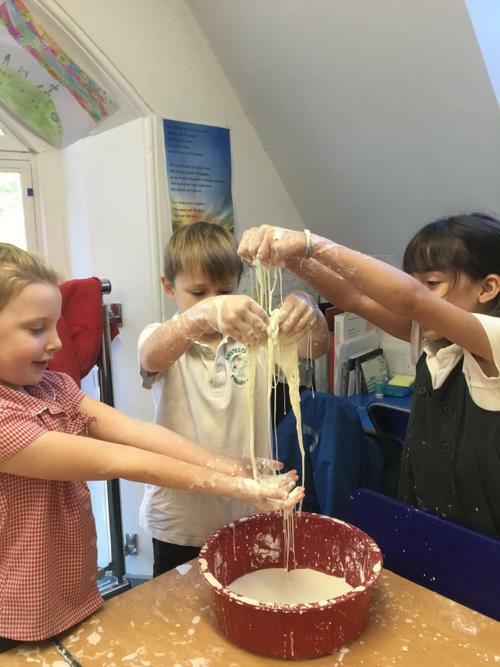 Here they are exploring and using their scientific knowledge! 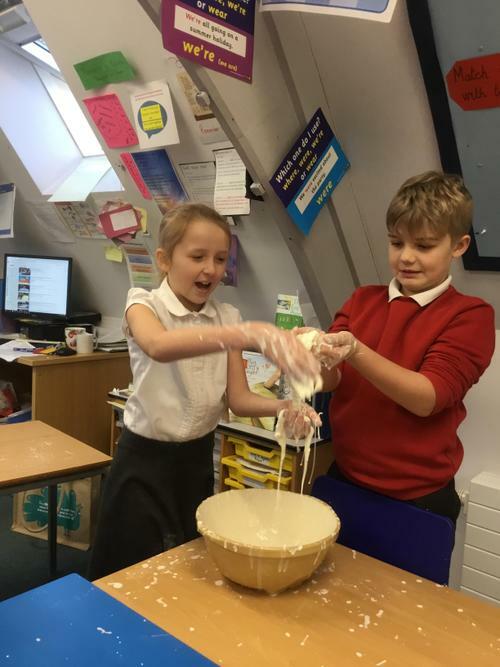 Making a fantastic mess in science! 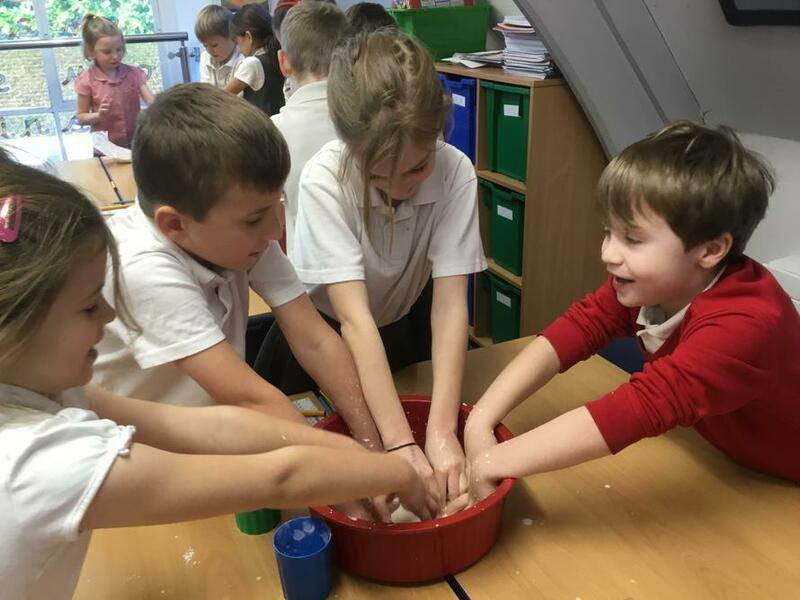 We were learning about why some 'Matter' is part liquid and part solid according to their 'state'. 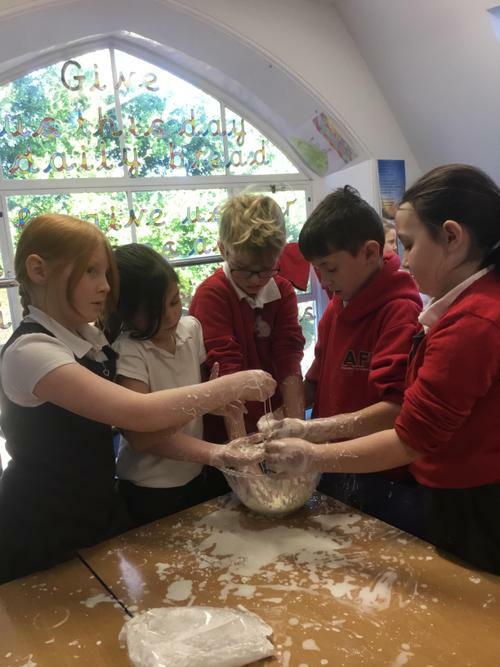 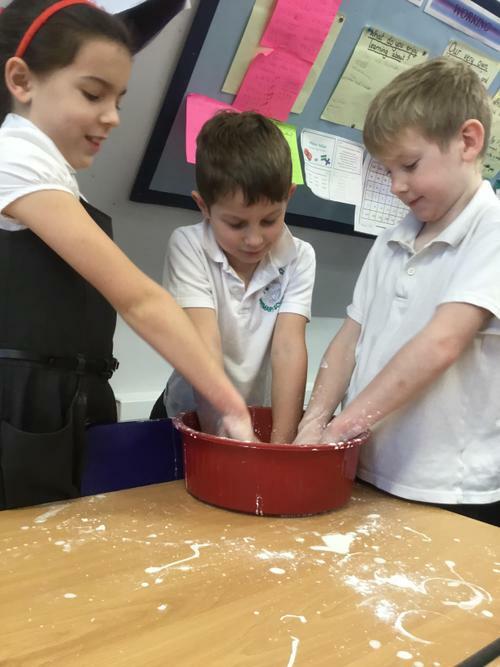 We mixed cornflour and water and found that if pressure was applied slowly, the particles had time to move and would act as a liquid. 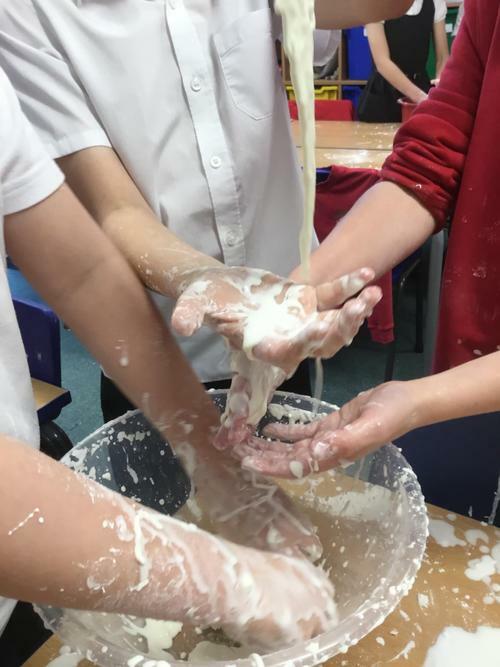 However, if the pressure was applied rapidly, the particles would behave differently because they didn't have time to separate and therefore the 'Matter' became solid.....It great fun and fascinating! 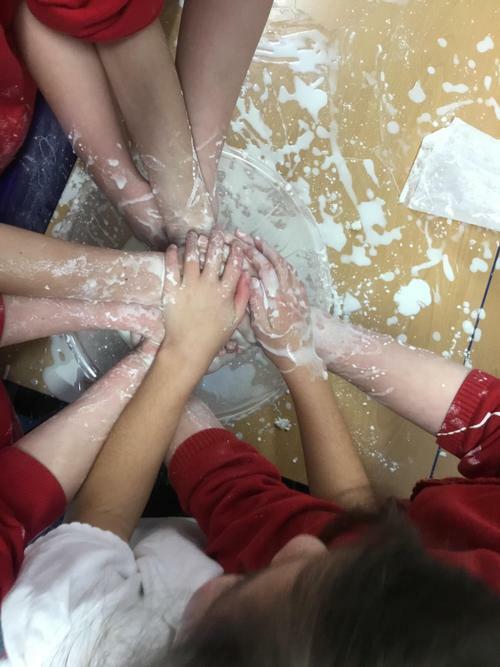 Thanks Mrs Jennings.